Here is a recipe from my old blog. An oldie but a goodie! Forgive the awkward formatting, and also my awkwardness. A crostata, for those of you who don’t know (like myself until about a week ago), is a form of Italian pastry, or as defined by Dictionary.com- “A baked tart, either open-faced or topped with a lattice crust, that is filled with fruit, jam, ricotta cheese, or other ingredients.” So that’s exactly what I’m gonna give you- an easy recipe for a apple crostata that only requires a few simple steps. You can impress a lot of people with this pretty pastry, and they never have to know how easy it is to make! I imagine I will be making many more varieties of these in the future, and of course I’ll share those recipes with you as well! 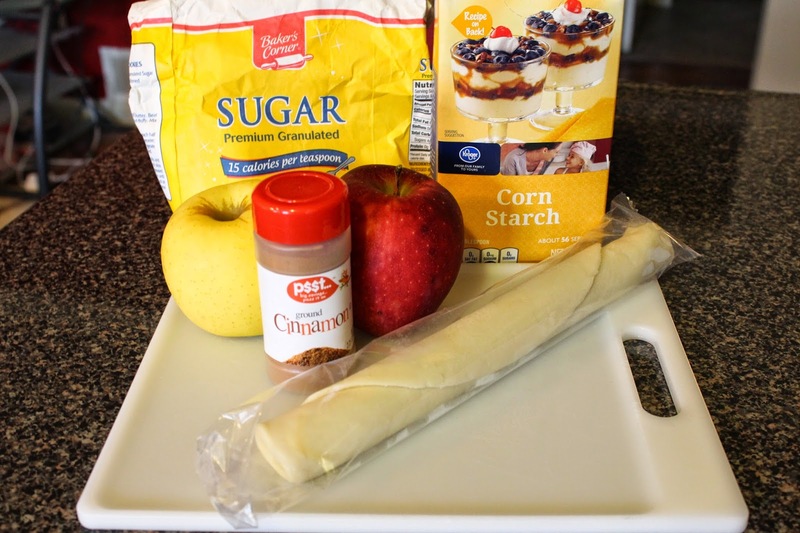 Start with a few simple ingredients: Apples, pie crust, corn starch, sugar and cinnamon. Peel and slice your apples into pretty skinny pieces, that way they bake quickly. After you’ve added the cinnamon/sugar/corn starch mixture to the apples, roll out your pie crust, and lay the apples out on top, leaving about an inch or so around the edge. Now you want to fold up the edges, overlapping where necessary. It doesn’t have to be perfect (obviously), but you want to make sure you have sealed the seams well so the delicious appley juices don’t run out. Dip a butter knife (or pastry brush if you have one) in water, and spread a light coating of water on top of the crust. Then sprinkle lightly with sugar. 2 Medium Apples 2 tsp. Corn Starch 1/2 C. Sugar + 1 Tbsp. 8. Bake for ~15-20 minutes, or until crust is golden-dark brown and apples are soft when poked with a toothpick.